On my birthday a few days ago, my husband and I decided to lunch at one of my favourite restaurants here in Bengaluru. It is called Kesariya and is known for its Rajasthani cuisine. I love the wide variety there and thought I would share our experience with you. 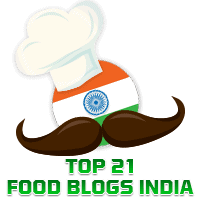 I would like to thank Prem Rao, my husband and partner in this blog, for sharing his views on the dining experience. Firstly, it's best to make a reservation especially if it is a weekend. The thali in Kesariya is served in "silver ware", whether it is silver or silver plated, I have no idea but I do know it looks so attractive spread out on the table for you. The little katoris are cute and there were some 11 of them waiting to be filled with the goodies. Now let's get down to the most important part of this blog post: The Food! The menu looks imposing, listing as it does fully 31 items but I must hasten to add that quality was not at all compromised for quantity. Each of the dishes was superb, though things being relative a dish did pale in comparison with another. As soon as you are settled down, the waiter walks up with a stylish miniature kettle like jar of the kind from which you would half expect a genie to emerge! This contains warm water for you to wash your hands in the bowl that he holds with his other hand. Another waiter brings you an Indian version of an apperitif by way of Masala Chaas ( Spiced Buttermilk) and Pudina Neembu Pani (Lime Juice with Mint). These act as appetizers and as digestives, both! As you sip these you are served a sweet- Sada Malpua, which was awesome dripping in its syrup. I read that in a Rajasthani meal there is no such thing as a dessert or sweet being served at the end of the meal. Sweets are eaten at the start of, during and after a meal. The starters are next. Here they come and they are piping hot. Urad Dal Samosa, ( crunchy and spicy), Hing Kachori (with the flavour of asafoetida or hing) and Aloo Pakoda ( made with potatoes). As dips for these are an attractive green chutney, an orange coloured hot Garlic Chutney and a fiery red Rajasthani chilli pickle. If the dips were tasty, the pickle was out of this world. You also got a long dry chilli which you munched along with the Kachumber (a salad of fresh vegetables) In front of these, I am afraid the Papad went relatively unnoticed. You can presumably eat as much as can but should you wish to ask for another round of starters, be warned that there's lots more to follow!! Along with the starters comes the first round of Dal Panchmel with the famous Matar Paneer Baati served with ghee with the traditional pairing of sweet Choorma. In the meanwhile, you are plied with repeated offerings of hot Fulkas, ( also spelled "Phulkas"), Missi Rotis and Urad Dal Kachawdi. Unlike the normal fulkas which are large in size, here the fulkas and indeed the missi rotis are very small in diameter. They are as delicious as they are cute. By then the katoris are filled with Maharaja Paneer, Bharwan Kofta, Aloo Petha, Tinda Masala, (which was awesome), Moong Mogar and the delicious Imlana, made of tamarind. You also have Do Chonk Ki Dal and Bhujiya Ki Kadhi. When you are through with the rotis and fulkas, ( if you still have the appetite for it) you have the choice of Hari Moong Dal ki Kheechdi, Chasni Ka Chawal and Steamed Rice. After all the chutneys and pickle, we opted for the simple steamed rice served with some high quality curds. Lastly, we cap the meal off with another round of dessert - we have two today Apple Halwa and the Mango Shrikhand. On any other day, the Apple Halwa would have stood out in my mind but I have to say it was dwarfed by the delectable Mango Shrikhand. Before you can stagger away, there is one last item for you to finish. Mango Kulfi! When we visited last (16/7/2016) the unlimited thali cost Rs. 545 per adult and Rs. 300 per child (between the ages of 5-8) on Fridays, Saturdays, Sundays, and Public Holidays. From Monday to Thursdays, the comparable figures are Rs. 495 and Rs. 250 respectively. This is inclusive of all taxes. I would overall rate the food and service ( despite it being crowded on a Saturday afternoon) as excellent. Tip: sample every dish and let the taste linger. I found eating small quantities of each dish was the secret to wade through the entire menu. Highly recommended for those who are looking for a value for money vegetarian deal! !